← What’s in my lunch? Yesterday I bought my lunch (Fatoosh salad with Feta: mmmmmmm) because I woke up late, was in a hurry and ran out the door without even thinking about lunch. Today was better, but I was again running late-ish and figured I’d just buy lunch again. But, then then my conscience got the better of me when I remembered that there were a few individual portioned containers of chili in the basement freezer. Whenever we make chili or soup, we try to make enough to freeze the leftovers for a quick dinner. Whenever possible, I’ll also freeze some in smaller portions for quick lunch options. This chili has been in the freezer since October and there are still a few containers of it left. So, looks like I need to eat more chili and then make more chili. These are tasks I can handle. Yum. A mix of stew beef and ground sausage makes for some delicious chili. 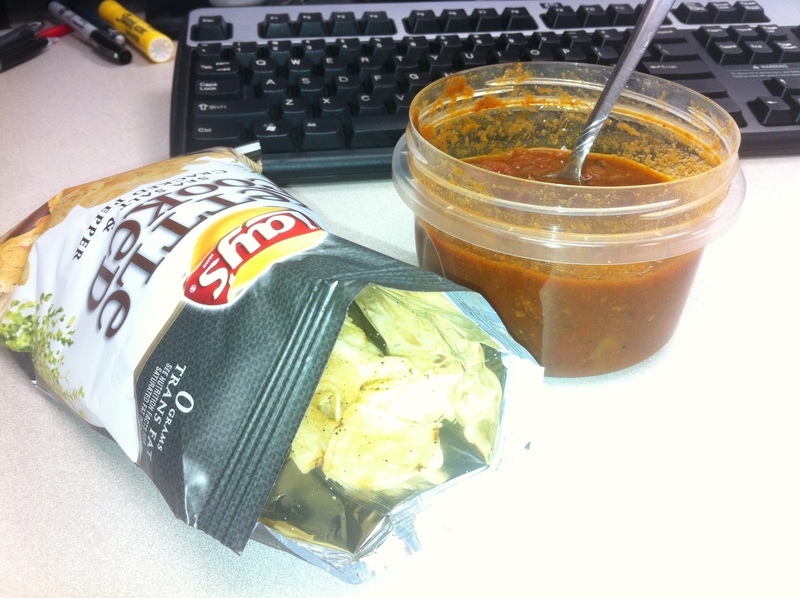 This entry was posted in life hippy and tagged Adult_Brown_Bag, Lunch. Bookmark the permalink.